When your time is up you come across this scary individual. 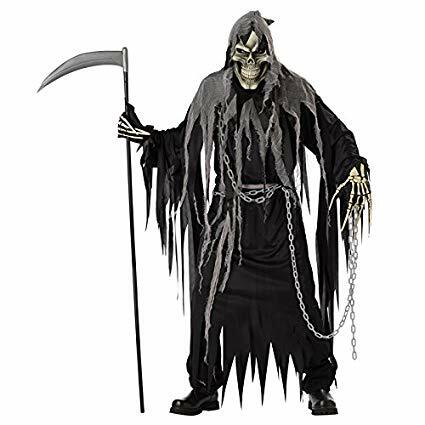 This reaper will stalk you until your final moments so that when you take your last breath the last face you'll see is his. Then once you pass it is up to this dark gentleman to take you where you need to go. So once you see this scary skeleton you know that your time is up, so be brave. Now you can give everyone the shivers in this creepy, boney look!